The lifetime cost of wind energy is comprised of a number of components including the investment cost, operation and maintenance costs, financing costs, and annual energy production. Accurate representation of these cost streams is critical in estimating a wind plant's cost of energy. Some of these cost streams will vary over the life of a given project. From the outset of project development, investors in wind energy have relatively certain knowledge of the plant's lifetime cost of wind energy. This is because a wind energy project's installed costs and mean wind speed are known early on, and wind generation generally has low variable operation and maintenance costs, zero fuel cost, and no carbon emissions cost. Despite these inherent characteristics, there are wide variations in the cost of wind energy internationally. 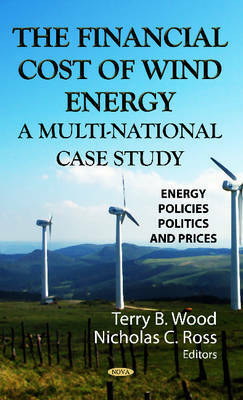 This book provides a cross-country comparative analysis of the cost of wind energy with a focus on country-specific case studies that describe the unique cost elements of a typical wind energy facility in each of the represented countries.